Trade-Up believes that promoting trade is in everyone’s interest, that more intense regulatory collaboration can eliminate many trade barriers, while respecting cultural differences is key to moving the global trade agenda forward! It is in this spirit that Trade-Up Consulting publishes a regular blog commenting on trade issues around the world. We arein particular keepingan eye on regulatory issues and barriers and provide our thinking about their impact on trade. And what if there is a Brexit deal? 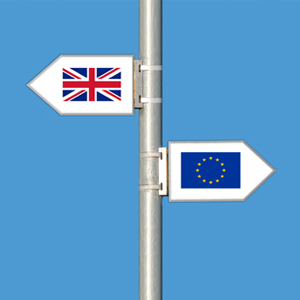 Trade-Up partner Lars Hoelgaard wants to share his perspective on Brexit. This is not so much about UK internal politics but he will simply ask the question what comes next for the UK after Brexit. With or without a (Br)exit deal the UK will have to spend over the coming years considerable time and resources in defining its trade relationship with the EU. It was in September 2015 that we embarked on our adventure to start a boutique trade consultancy with global reach. We wanted to fill the gap between think tank and consultancy, apply conceptual and strategic thinking to real world commercial challenges. Three years later we are working on a series of interesting projects and think we are ready for the next step: Starting a blog that looks into trade with a particular focus on regulatory issues effecting trade.